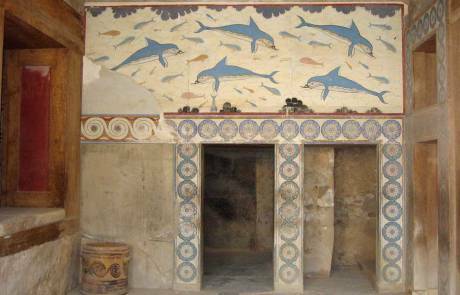 Our Heraklion shore excursion to the Palace of Knossos disappointing. We would have done far better to take a 15 minute cab ride to the site. 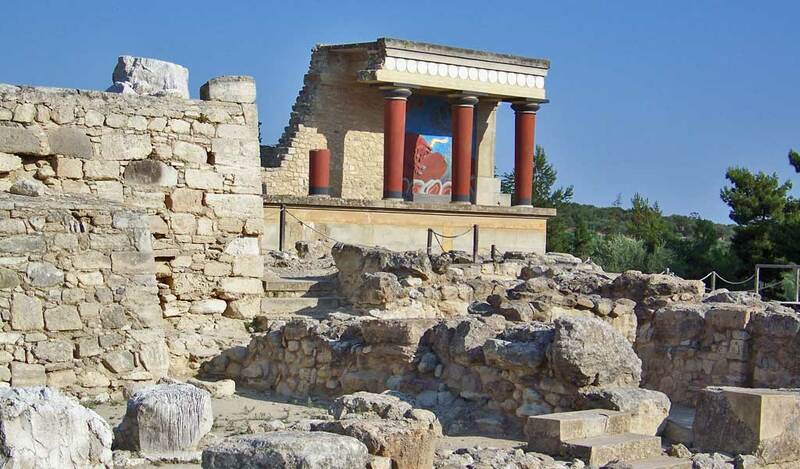 The entry fee to the Palace of Knossos was only 6 Euros. Using the cruise ship shore excursion cost more than $100 Euros for 2 of us, so I figure this was over priced by about 60 – 70 Euros. 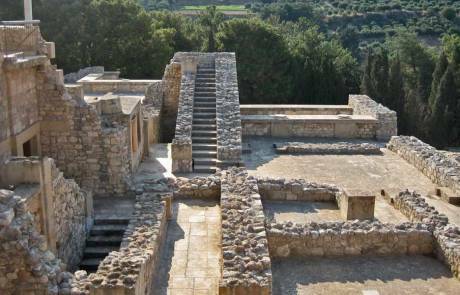 These Minoan ruins are intricate piles of stone and mazes that are the source of the Minotaur myths. 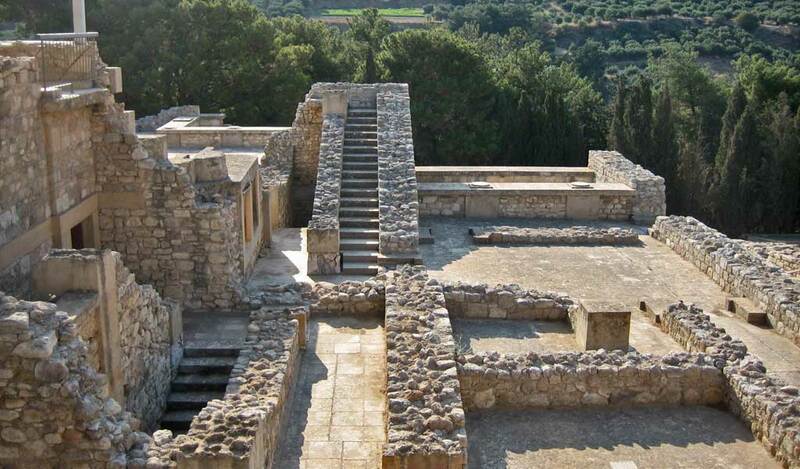 The ruins are not very extensive. 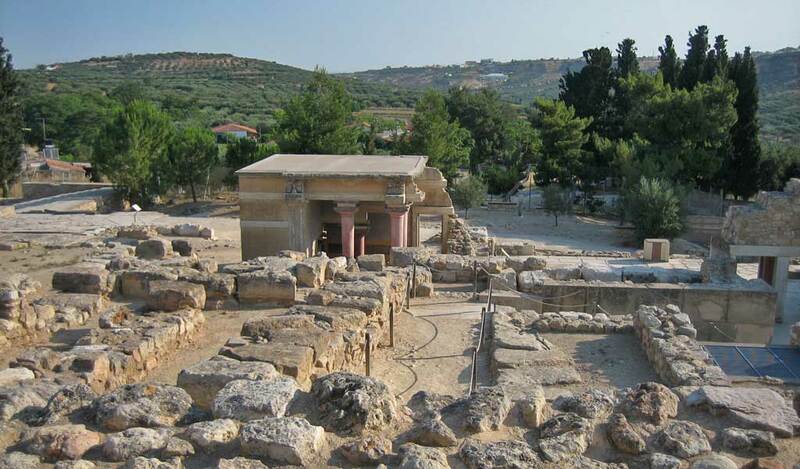 The Palace of Knossos is mainly rubble. 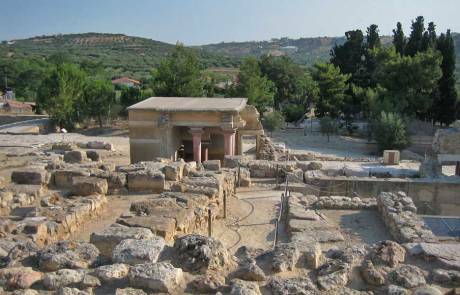 The people who have excavated the site have also recreated some of the buildings in a manner that doesn’t look authentic. 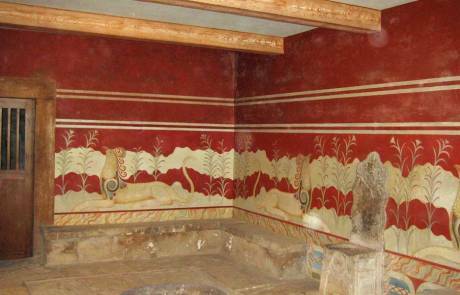 Recently painted frescoes and bright colors have been added as replicas of Minoan art. 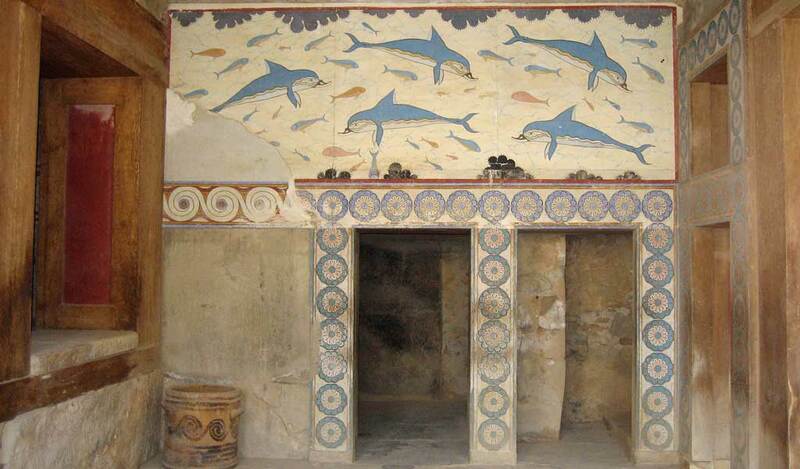 The reconstruction tries to imitate what the Minoans might have originally seen. 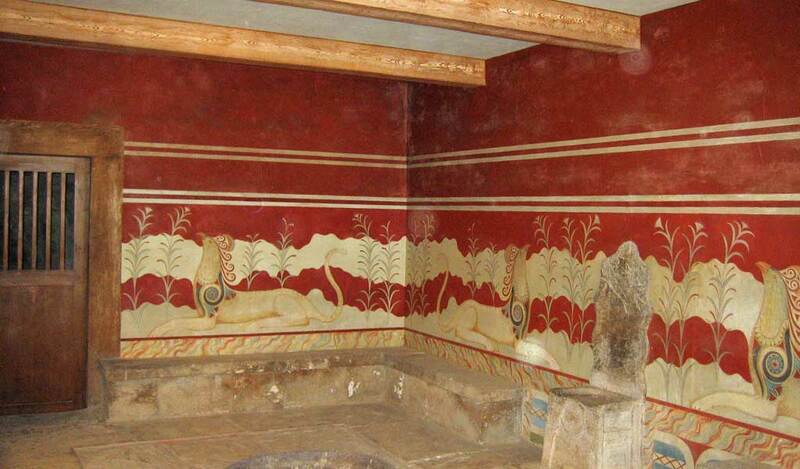 The fresco replicas and bright paint degrade the experience in my opinion. 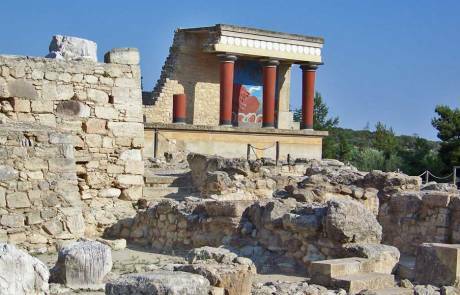 The Palace of Knossos wasn’t as worthwhile as a walk though the Old Town. 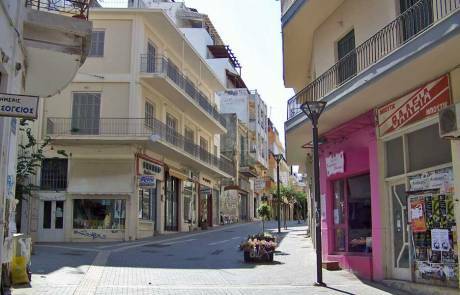 At the end of our tour, the Heraklion Shore Excursion dropped us at the 25th of August pedestrian only street in the Old Town. The unusual name of the 25th of August Street doesn’t really do justice to how lovely this area is. The next time I head to Heraklion, I’ll take a longer self guided Old Town Walking Tour that finishes at the Venetian Shipyard & Fort. 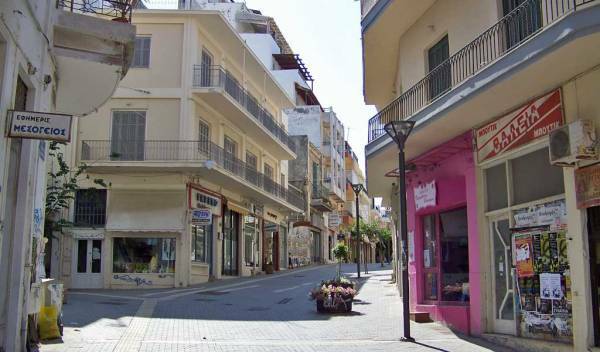 Check out the Heraklion Old Town Walking Tour Map for a shore excursions that’s an economical adventure.